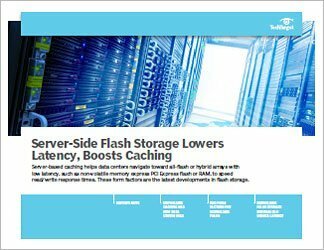 Flash-based storage is the logical choice to tackle virtual machine performance issues thanks to its zero-latency, high-performance capabilities that make it impervious to random I/O workloads. 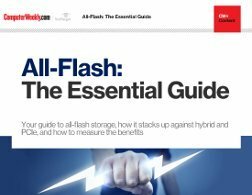 But flash comes at a premium versus hard disk technology, so data center managers need to deploy their flash resources judiciously. 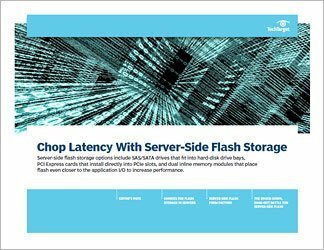 When solving the IOPS problem, IT managers have two choices: server-side flash or storage-side solid-state drives. 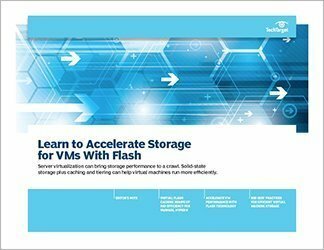 But given the dynamic nature of VMs, it may be necessary to deploy both forms of flash when premium performance is necessary. Our experts explore the nitty-gritty technical merits of VMware and Microsoft offerings in this space. Learn the difference between host-level and cluster-level objects, and why it’s important not to neglect your network and bandwidth options when combining two of today’s hottest technologies to maximize system performance.